The Ultimate Kitchen Planner - Download Yours Free Today! 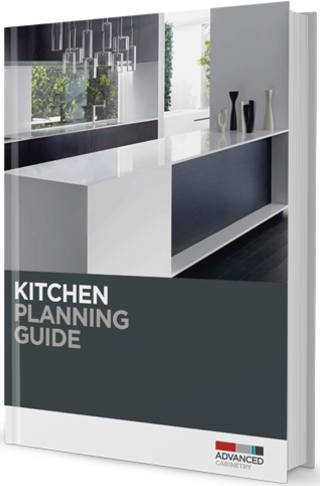 What’s inside the Kitchen Planning Guide? In a typical kitchen these are the elements that you can expect at these price points. Style and design are not mutually exclusive; in a well-designed kitchen they complement each other, striking the balance between style and function. Design is the difference between fine and fantastic. Colour and Texture are noticeable features in any Kitchen, colour has the power to seduce, relax, or excite. It is possibly the most emotional element of any room. Your kitchen might be nearly there, but you won’t have much to eat, or eat on, without appliances. It’s not just what Advanced Cabinetry do that is excellent, it’s how they do it t at makes things exceptional. Use an included checklist to help you consolidate your kitchen design references.